Apple is apparently 'unimpressed' with the way that other mobile phones have integrated social networks into one feed, and prefers to keep its streams uncrossed. The likes of HTC's FriendStream, MotoBlur from Motorola and Sony Ericsson's TimeScape have proven to be popular in the mobile phone market, offering to bring your Twitter, Facebook and other social networking into one place. However, Phil Schiller, Apple's senior vice president of worldwide marketing, told the Daily Telegraph that the maker of the iPhone would not be looking to do something similar. He said that senior executives were "unimpressed" by the technology, and that Apple would keep people from muddling their streams by keeping them discrete. It's a snippet of information from Schiller, but it will nevertheless come as a blow to those iPhone users who have looked at some of the rivals and wondered if they would be getting similar functionality on their handsets. 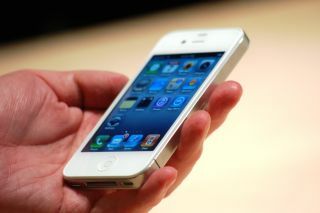 With multitasking a key selling point of the new iPhone 4, Apple's latest handset does at least mean that you should be able to keep multiple social networks running at the same time. But - for the time being – only your multiple email inboxes are likely to be unified on the Apple iPhone.